KARACHI: Pakistan Tax Bar Association (PTBA) on Thursday demanded the government of recruiting accountant members of tribunals of Customs and Inland Revenue should be through Federal Public Service Commission (FPSC) and approved by Supreme Court / High Court. 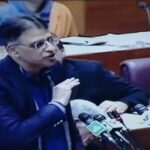 The PTBA has sent communication to Dr. Farough Naseem, Federal Minister of Law & Justice, Asad Umar, Minister for Finance, Revenue and Economic Affairs and Muhammad Hammad Azhar, Minister of State for Revenue in this regard. The tax bar said that the appellate mechanism under tax codes provides right to appeal before the commissioner of appeals or collector of appeals in case a taxpayer is aggrieved by the assessment made by adjudicating officer. The tax bar said that appellate tribunal is second legal forum for taxpayers or tax department after commissioner Appeals/Collector Appeals. The Appellate Tribunal Inland Revenue (ATIR) functions through its benches comprising judicial and accountant members. The qualification for appointment as judicial member is similar to that for the appointment of a high court judge, and only well experienced and competent people from the legal profession and judiciary are selected. Unless the position of accountant members are advertised through FPSC, how can a chartered accountant or a cost and management accountant ever be selected on merits as accountant member of the tribunal, the tax bar asked. It further said that at present officers of Inland Revenue are sent to tribunal on secondment. A person having lien with FBR cannot perform the functions independently and further it will be violative of National Judicial Policy 2009. To make tribunal a truly independent judicial forum, it is imperative to recruit accountant members be it from FBR cadre or chartered accountants and cost and management accountant through FPSC. Accountant member should be appointed through FPSC and as per Judicial Policy 2009.